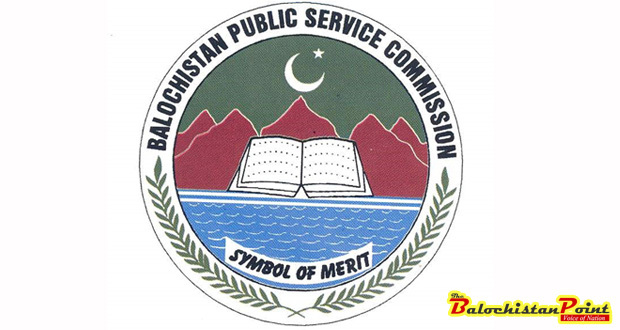 Balochistan Public Service Commission (BPSC) is a constitutionally-mandated autonomous body which is responsible for recruitment on provincial government jobs that have scale of BPS-16 or higher. BPSC has been marred by corruption and mismanagement in recent past. Last Chairman of BPSC was unceremoniously sacked by Governor of Balochistan after a judicial inquiry report found him responsible for corruption in job recruitment. Now, BPSC has a new Chairman but he needs to bring BPSC in order. Government jobs are the primary source of employment in the province. Small scale jobs in government departments are either sold to highest bidder or awarded to the party workers of the ruling parties. This effectively means that jobs advertised through BPSC are the only jobs where candidates without any political backing can compete for jobs. Unfortunately corruption in this organization has badly damaged the morale of all such candidates who wanted to get jobs through pure merit. Recently, it’s reported that Balochistan government has authorized recruitment on vacancies of 41 Assistant Commissioners (ACs) and 22 Section Officers (SOs). These recruitments were delayed for last five years due to possible corruption in BPSC. Now that new chairman has taken charge, these vacancies have finally been approved for recruitment. According to estimates around 8,000 to 10,000 candidates would take the exams for these prestigious and lucrative jobs. These candidates are those people who have been waiting for these jobs for last 5 years and have done reasonably degree of preparation for the forthcoming recruitment exams. In this context, it is must for BPSC to ensure that recruitment process of these 63 vacancies is completely transparent and free from any sort of corruption. For this purpose BPSC needs to bring its house in order. That requires vetting the BPSC from all the corrupt officers and members. When former Chairman Asharf Magsi was involved in selling jobs, he had the help of certain commission members who have not been dismissed yet. One such member is Jalal Khan Mandokhail who is alleged to be partner of Ashraf Magsi in selling jobs to candidates. In fact, National Accountability Bureau (NAB) has filed a reference against Jalal Khan Mandokhail for alleged corruption when He was Secretary Health of Government of Balochistan. It would only be fair If Mr. Jalal is dismissed as a member of BPSC. It would be a first step in restoring the confidence of candidates in transparency in BPSC. Moreover, news coming to the surface regarding recruitment process in BPCS is not satisfactory. It was alleged in recruitment of Research Officers for Planning and Development Department that up to Rs. 5 million were demanded from candidates who wanted to buy them. This news is not verified form independent means and such allegations can’t be verified due to their nature. Similarly, it was reported that vacancies of Medial Officers in Health Department were delayed time and time against just to ensure that relatives of influential people get their degree and be eligible to apply. These practices are unacceptable in any transparent organization and BPSC has failed to display transparency, even after change of its Chairman. New Chairman of BPSC, Justice (retired) Mehta Kailash Nath Kohli, has a sound reputation and clean track record. Since taking charge of the office, He has made some procedural changes in application process which have made it difficult for the candidates to apply. So rather than wasting time and effort on petty procedural issues, BPSC Chairman must ensure that all corrupt elements, including members, must be shown the door out of BPSC. He also needs to ensure that recruitment process in no way should be influenced by anyone in provincial government including Chief Minister and Governor. It’s up to Mr. Kohli whether he would make BPSC a center of merit and good governance or go down in the history as another Ashraf Magsi.